At the end of the year, we like to reflect on how the Lord has led and what He has accomplished, and glorify Him for it. We want to share a few of the developments in the past year and thank you for your support and continued prayer. Without your partnership, we simply would not be able to serve the Lord in these ways. Children at the feeding kitchen in Tepano. The feeding kitchens in Diriamba and Tepano are serving meals to more than sixty children, five days a week. We built a kitchen at the new church in Tepano and moved the local feeding kitchen there. In addition to the kitchen, two classrooms were constructed at the property and tile was laid in the church. There were also some unexpected expenses at the feeding kitchens when we had to replace a refrigerator, water tank, and stove. We purchased a 2009 Toyota Hilux to transport food and sound equipment to both churches. House #13 was completed for an elder of the church in Tepano along with repairs for other homes. Pastor Luis’ son, Luenrry, was involved in a head-on collision with an SUV. Their motorcycle was totaled but Luenrry survived with a crushed arm and leg. He underwent two surgeries and we have helped with those medical expenses. Throughout the year we provided food, clothing, shoes, medicine, healthcare, school supplies, and more for the community and church family. Desalegyn and Thomas Berger of SIM receiving the microSD cards and duplicator. We are returning to Ethiopia this January for ministry and Business As Mission (BAM) reasons. On the ministry side, we are participating in Phase II of the tablet project that began in August 2016. The Ethiopian Kale Heywet Church (EKHC) has purchased 2,400 tablets and memory cards for their pastors. Transporting discipleship and evangelism resources via microSD cards has proved to be an effective method so we also donated two memory card duplicators to speed the data transfer to the microSD cards. There are some awe-inspiring stories of Muslims coming to faith due to this ministry, and countless seeds are being planted boldly in the name of Jesus. On the business side, our construction sourcing company will be completing its first project in Ethiopia. There is a shortage of finishing materials in Addis Ababa so we imported cabinets and countertops. We will finish the project by providing training on their assembly and installation which will help with job creation. Funds from these projects are used to fund ministry efforts within Ethiopia. Lastly, we are in the early stages of helping the Evangelical Theological College obtain construction materials for their new thirteen-story building. 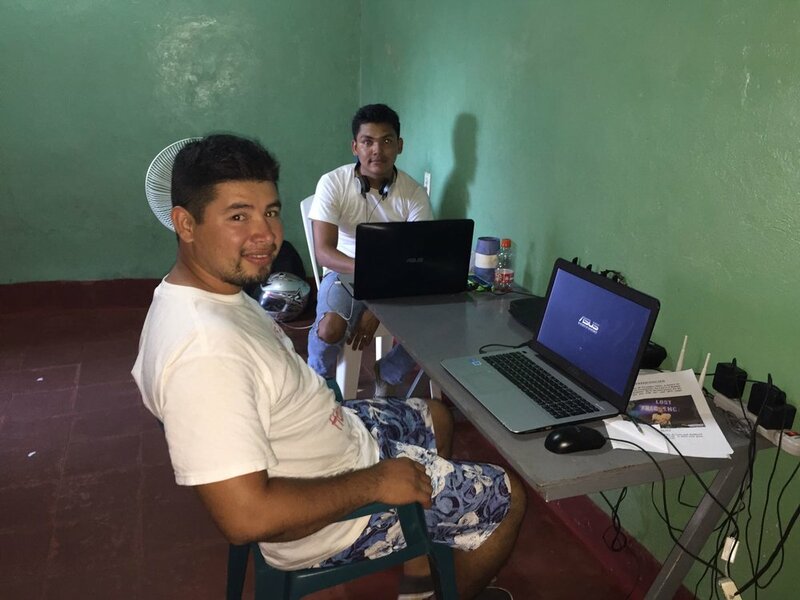 Junior and Jonatan working from their home office in Diriamba, Nicaragua. Ascensor is a BAM project we started in July 2015 to help fund Pastor Luis’ ministry in Nicaragua and provide work for unemployed believers. 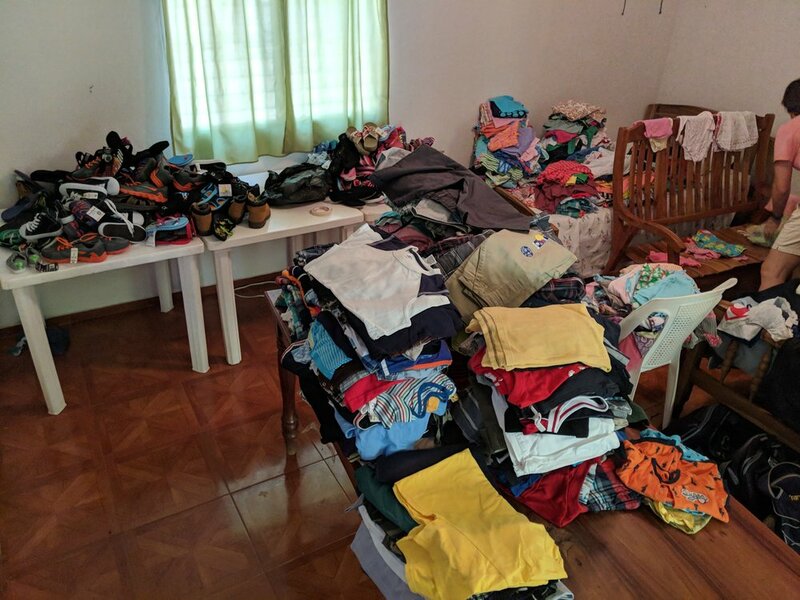 In 2018, Ascensor donated more than $2,600 of their revenue to Pastor Luis’ ministry in addition to providing employment to two members of his team. We are actively looking for ways to grow their work load and hope to have something to report after the first or second quarter of 2019. Lastly, we are proud to say none of Ascensor’s revenue went to Global Cross or any of our other BAM companies. They are independent and multiplying in kingdom efforts for the glory of the Lord! We are not able to discuss our Asian ministries in a public forum because the risk of persecution is too great for those working in the field. If you are one of our donors, you can expect to receive information about this sensitive ministry via postal mail. It has been a great year at Global Cross Ministries and we thank God for how He has guided and provided throughout. It’s amazing when we look back to see how the Lord was there at each step and we are excited to see what he has in store for 2019. Global Cross started the feeding kitchen in October 2015 and it continues 2.5 years later. The first feeding kitchen was launched in Tepano, just a few minutes from the Pacific. Not long after, we recognized the need for a second one in Diriamba. First feeding kitchen started in Tepano in the south. The second came later in Diriamba. We've spent nearly three years with these children and it's been a blessing to watch them grow up. Here are two children who have been there from the beginning in Tepano. Pedrito (age 6) started coming to the feeding kitchen when he was 3 years old. Pedrito was three years old when he showed up and he was a very shy child. It seemed like our interactions caused him some pain so he rarely spoke. Today, he is completely different. He participates in group activities and talks with everyone. Pedrito loves to eat chicken and salad and play with toy cars. He is one of the poorest children in the program. Juan David was 9 years old when he first came to the kitchen. He's 12 now. Juan David arrived when he was nine year olds. Since then, we have learned he loves soccer and playing guitar. Members of the church band have been teaching him to play the guitar and he has shown to be a fast learner. His favorite food is rice, beans, and cream/cheese. Unfortunately, Juan David spends most of his time alone because both his mother and sister work. Juan David is a child of few words with a big heart. The two kitchens feed 56 children at the moment, but rising food costs are becoming a concern. We're doing what we can to spread donations as much as possible but recent and long-term increases will likely require us to close the kitchen for a day or two every week. For example, our total food bill was 1,000 córdobas in 2015. Today, each grocery visit costs 5,400 córdobas. Here is a closer look at the cost of beans and rice from 2015 to today. We covet your prayers first and foremost. 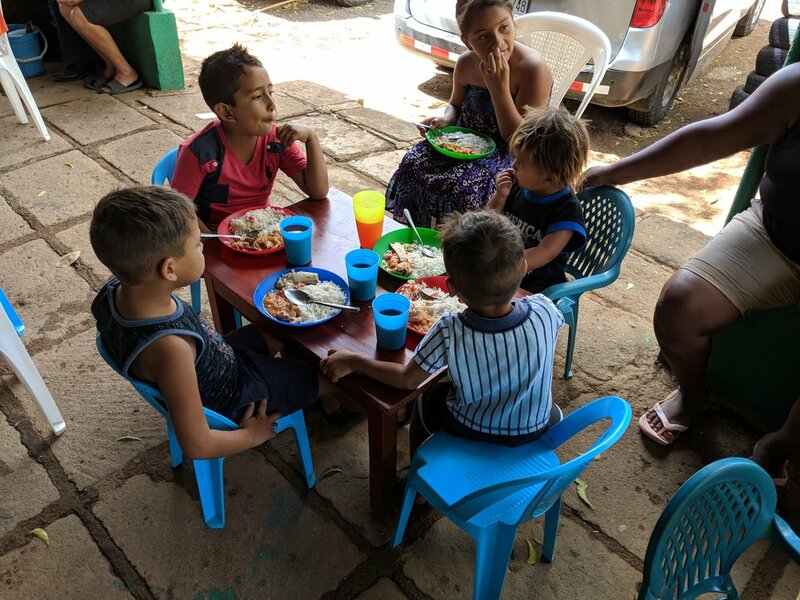 If you would like to financially support the feeding kitchens in Nicaragua, you can make a one-time donation or make a monthly commitment. Thank you. This past January, Global Cross visited Nicaragua with missionary Sarah Broome. 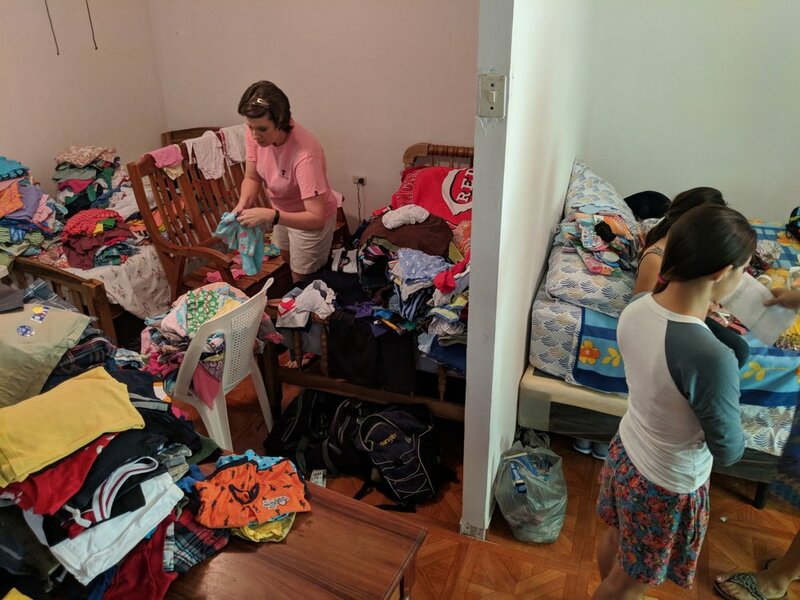 The purpose of our trip was to visit with Pastor Luis and see how things were going, but it also opened the door to transport goods we have received from generous donors. Most of the items we took with us were for the kids at the feeding kitchens. Their school year starts in early February and Sarah wanted to help get them ready for success. We have to courier goods into Nicaragua to ensure they get to their intended destinations. So each member of our team checked two 50 pound bags at the airport. Once we landed and got through customs, all of the items had to be organized by size, assigned to a child, and then packed in a book bag. Of course, the children were excited to receive their school surprise. There were lots of grins and thankful parents. If anyone was uncertain about what the kids thought about their gifts, that was put to rest two days later. Nearly every child showed up at church proudly wearing the clothes in their book bag. Global Cross and our missionary Sarah Broome continue to work closely with Pastor Luis and his ministry in Nicaragua. A lot has happened in the 12 months since Pastor Luis' last letter. Missionary Sarah Broome joined Ascensor, our Business As Mission (BAM) project, as the project manager in July. Sarah interfaces with English-speaking customers to ensure we receive all the information needed to deliver the results the customer desires. This was a necessary move as the Lord continues to grow Ascensor's business which directly supports the local ministry. The church in Tepano was dedicated in August 2016 and it was just a roof and floor at that point. Since then, Phase 2 has been completed with walls and doors installed in the church. A simple playground was also added for the children. Phase 3 is up next and should add two classrooms. We helped several children with school supplies and uniforms. 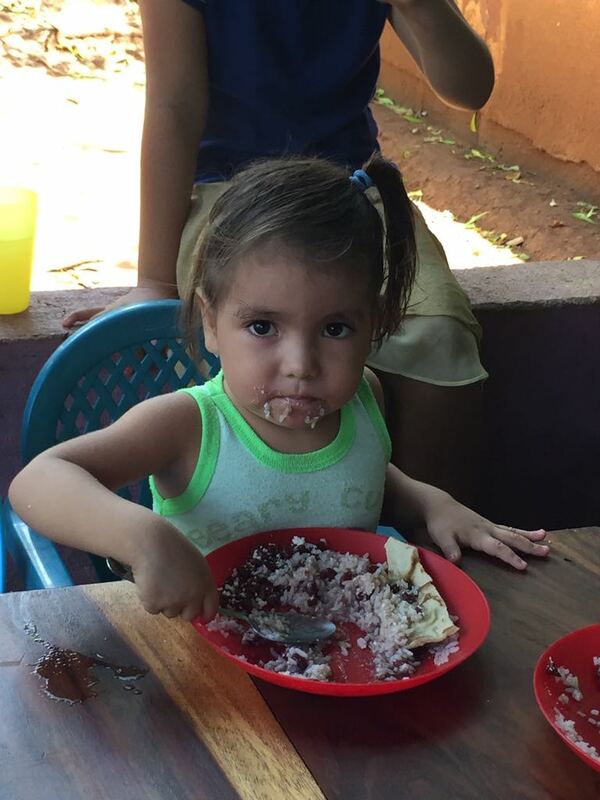 The feeding kitchen now cares for 60 children every day in Diriamba and Tepano. We focused on continuing education within the ministry. Pastor Luis and his wife were sent to Honduras for seminars. They also went to Costa Rica for additional Bible teaching. All of the church leaders have been to seminar classes during the last year. Phase 2 added walls and doors to the building that was dedicated in August 2016. In addition to walls and doors, the church building in Tepano also received a small playground. Children are offered beans and rice. Includes a swing set, slide, and seesaws. Here is a letter from Pastor Luis on some of their recent challenges and progress. Two women accepted Jesus during a house service. God has been so good to us to keep us serving Him. I find myself praying often because we see so many difficulties. There are people with bad health, people with family problems, and people in need. But most of all, I know we can do nothing without God. I thank God for using me to share God's counsel with them. In the last two months, four souls have been saved: two women, a 50-year-old man, and a 10-year-old boy. They have been coming to church regularly and are being discipled. One of our goals is to enable the people of our church to serve in the different areas of the ministry. We are committed to times of intense prayer and providing leadership seminars. Our Sunday school averages 70-75 each week and we are in need of two classrooms. It is our goal to evangelize the whole community and start a new mission field this coming year. In fact, we have already started. If God provides, we will be happy to improve at least four houses of families living in very poor conditions. As you may know, our old blue truck is practically wore out and we need to replace it. We use the truck to visit people and meet needs in difficult rural areas. Lastly, many people have been sick. There was a red eyes (conjunctivitis) epidemic recently. Everybody got sick, but not my wife and I. Praise to God for His protection while we ministered to the sick. One of our ladies is recovering from ovarian surgery. She hasn't been able to come since she has to walk about a mile to church. Another lady of our church gave birth on October 16th. She is so poor she didn't have money for transportation from the hospital to her home, but we were able to take her home and have been helping her as much as we can with food for her and baby. Pastor Luis, missionary Sarah Broome, Pastor's wife Massiel. Thank you so much for your generous support of the feeding kitchen for kids, which is a great blessing, and for the support you faithfully you send to me every month. You are the ones God has used to keep me working full time in His ministry. Please continue to pray for us. There is a lot to be done. It is not easy, but we can with God's powerful hand. Thank you again for pushing us ahead and keeping us going. Pastor Luis wanted us to make it clear he appreciates all of the support and prayer he receives. Please continue to lift up those ministries in Diriamba and Tepano. Global Cross has been supporting ministry and missions in Nicaragua and its surrounding communities for several years. During the summer of 2015, we felt led to create a Business As Mission (BAM) application in Diriamba. BAM has been around for many years but it seems to have grown in popularity recently. The purpose of this blog post is to share our experience with one of our Business As Mission projects so others considering BAM for their own ministries will get a realistic idea of what it is and the challenges and benefits that come out of it. Church services were commonly held outdoors on the property of one of the members. 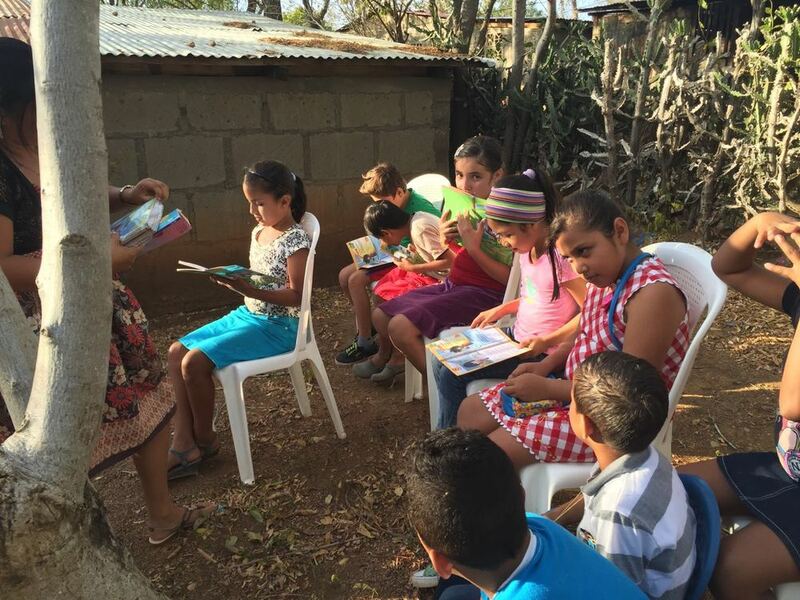 One of our team members did his first short-term mission trip to Nicaragua in November 2014. 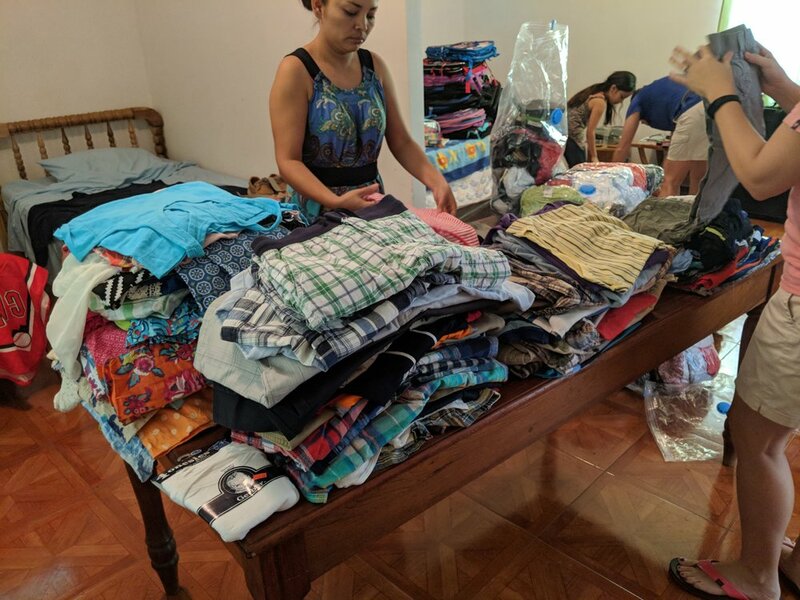 It was during that trip he saw the poverty of the people of Nicaragua and how our local ministry partner struggled to help the community while supporting themselves. It became clear American donations were not a sustainable solution. We had to figure out how to create revenue. The purpose of our BAM project was to provide employment to unemployed followers of Christ and, through their labor, support local ministry and outreach. The project was code named Ascensor which is a Spanish variation of “to lift” or “uplift”. During our time there, we discovered agriculture was not the answer. While the land was fertile and able to grow crops, the surrounding community could not support a business dedicated to selling produce to neighbors. It was possible to ship goods to the capital of Managua, but the high transportation costs would cut out the profit margin (there are few things as costly as owning and operating a vehicle in Nicaragua). Then we looked to our next available resource, the Pacific. Our ministry partners were also doing discipleship and evangelism in Tepano which is just a few minutes from the coast. While we could have fished, the coast had not developed any tourism yet so there was not a significant consumer market nearby. The same cost-prohibitive transportation issues were a non-starter here as well. In the end, we were led to remote working. The idea was to enable them to do computer labor for outside companies and use their low cost of living to create a cost advantage. We considered transcription and translation but getting some initial jobs proved to be too difficult. We eventually landed on kitchen design and taught them how to use software to design kitchens for American companies who can use the resulting 3D renderings to sell new cabinets to home owners and builders. We also had two other BAM companies that could provide work immediately. Clock tower in Diriamba, Nicaragua. We had a reasonable idea and needed to find out if it was viable. The internet was a critical link in the chain so we started there. Our Nicaraguan team could not get internet at their home so we looked for an office in Diriamba. We settled on one close to their home which cost $150/month. The fastest internet speed available was 5 Mbps down and the cost was $53/month. Then, we determined we could donate two very modest laptops. We decided against laptops with more hardware horsepower because this was a trial run. We needed to confirm this was going to work before a significant investment was made. Next, we found we could do a payment plan for the ProKitchen design software which was $448/month for two licenses. It would have been cheaper to pay for it in full, but once again we needed to prove the concept before making a large investment. With the 12-month payment plan, we could terminate it at any time while also working towards eventual ownership of the ProKitchen design software. We had donors take on the cost of the two laptops and two ProKitchen licenses. While this was not ideal, we were OK with this one-time donation because our goal was to create a self-sustaining business venture. To this point, the Ascensor team was responsible for recurring monthly overhead like the office rent and internet which totaled $203. This meant Ascensor only had to do three kitchen designs to cover their overhead. 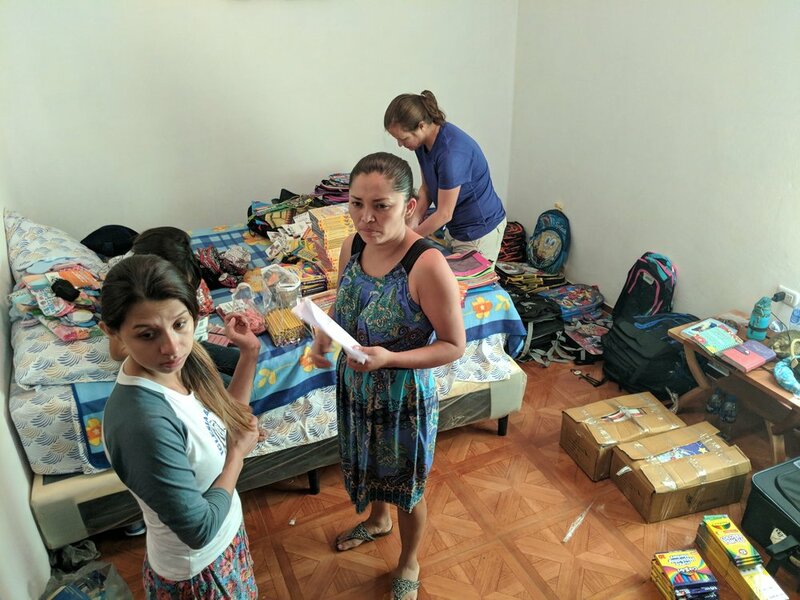 At this point, our initial math was confirmed and it was time to tackle the next big question: Can we teach Nicaraguans how to do kitchen design using software they have never seen for products they had no experience with. They knew what cabinets were and there were four wall cabinets in the pastor's home. However, acquiring those cabinets was much different than what we are used to in the United States. Our Nicaraguan friends provided wood to a local carpenter who hand crafted some simple cabinets and then they just nailed them to the kitchen wall. There was never a decision on the style or color of the cabinets and they were not constructed with the rest of the kitchen in mind. The first Ascensor team in the first office. The first two phases were satisfied and now it was time for a return trip to Nicaragua. 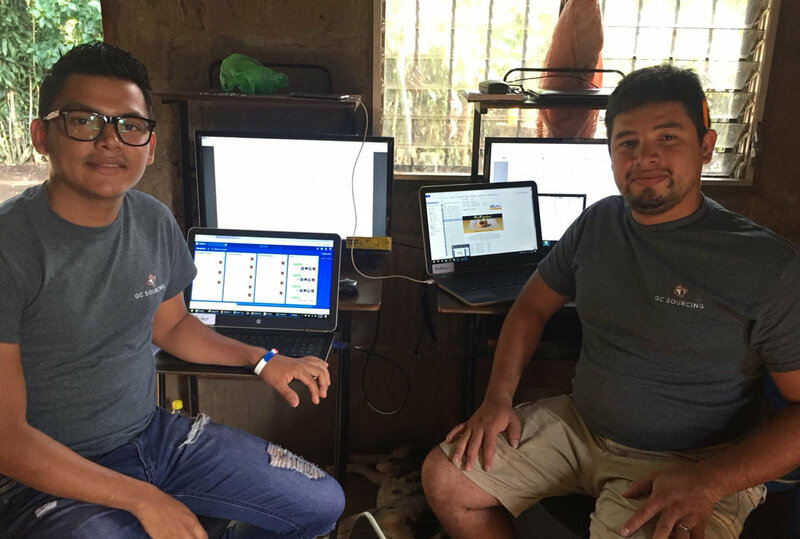 In July of 2015, we went back to Nicaragua with our two laptops and installed software. We had been communicating frequently with our missionary, Pastor Luis, and his family. We selected four people that were unemployed but were also serving in Pastor Luis' ministry. All but one were part of Pastor Luis' family. The first day we set up the wireless network in the open air office and then begin helping the 4-person Ascensor team get familiar with the laptops and their software. Skype: We knew we would not be able to answer every question for every situation during that week so we set up Skype for video conferencing after we returned to the US. Skype was also used to encourage the team and for prayer time. GoToMyPC: Our Nicaraguan team was just getting accustomed to the laptops so we could not expect them to maintain them as well. We set up GoToMyPC to allow us to remotely log into the laptops from the US to handle software updates, problems, and questions from the Ascensor team. Trello: We created a basic Trello board to help them manage the jobs they received. It had 4 columns to keep it simple: Not Ready, To Do, Ready for Review, and Done. The team was tasked with emptying the To Do column by completing each job that landed there and moving it to the Ready for Review column. WhatsApp: We needed to be able to communicate with the team when they were not in the office. In the beginning, they didn't have much work so they only needed to be in the office when new jobs were available. These tools enabled us to connect the teams in Nicaragua and the United States. Communication is key when you have groups in different locations, different time zones, and speaking different languages. The team leader in Nicaragua could translate while the rest of the Ascensor team was learning English. We spent the week doing example kitchen designs. The team even took the laptops back to their homes to continue learning. This led to a fifth member joining the team. He taught himself at night and eventually became of the best designers. At the end of the week, we felt confident the team was capable of doing kitchen design at a basic level and returned home knowing we could continue to help them using the tools in place. Like all small businesses, life can be a roller coaster. It's hard work and not always due to outside factors. Here are a few of the highs and lows the Ascensor project experienced. Current Ascensor team in the new office. July 2015 - The team completes their first jobs and gets the satisfaction of receiving their first pay check. All were previously unemployed so we encouraged them to celebrate and they all went out for pizza. September 2015 - Any time you introduce money into a situation, there can be difficulties. In this case, the team had an uncomfortable issue with one member regarding money. October 2015 - After 3 months, it became clear Ascensor was not receiving enough work to support 5 team members. We had to let 2 people go which is never easy. January 2016 - The team shrinks again. This time the team leader asks to leave. She struggled with the hardships that come with this type of situation and didn't want to do it any longer. At this point, Ascensor is down to 2 people and no longer has a translator. February 2016 - One of the team members had a family of 5 and he needed $240/month in order to support his family. February was the first month Ascensor provided enough income for his family. March - May 2016 - Business really slows down in the US which means there is very little work for Ascensor. May 2016 - Final payment on the very expensive kitchen design software. This reduces overhead quite a bit and greatly increases the sustainability of this BAM project. June - July 2016 - Business jumps and these 2 months nearly exceed the total for the previous 4 months. September 2016 - During the down months, donors had helped out the Ascensor team when they didn't have enough work to pay their bills. After a year in business, this had to come to an end so the payment structure was reworked so all initial revenue went to overhead first. October 2016 - Ascensor moves to a new office which decreases their rent from $150/month to $75/month. Less overhead helps in several ways. November 2016 - First outside customer! Up to this point, all of the work Ascensor received was from sister BAM companies. Additional customers help smooth out the cash flow and confirm the team can serve other US companies. December 2016 - In what had historically been the slowest month, Ascensor had their best month ever in December. Pastor Luis and his wife Massiel with Global Cross missionary Sarah Broome and her husband Andy. Ascensor set out with an eternal goal. We wanted to support the local ministry in Diriamba and employ those actively working in that ministry. Prior to July 2015, the ministry was completely dependent on donations. Pastor Luis and his family would often go without essentials in order to serve their community. In the 18 months since then, the Ascensor project provided gainful employment and paid out $6,405 to team members who were previously unemployed. Ascensor also donated $2,691 (18.7%) of their revenue to Pastor Luis and the local ministry. Lastly, we are proud to say that Global Cross received no donations from Ascensor and none of our BAM companies collected any of the revenue produced by Ascensor. What's next? Business is trending up, but we don't know what will come. We thank God for how He has guided and provided throughout. It's amazing when we look back to see how the Lord was there at each step. We're excited to see what He has in store. Thank you Jesus. 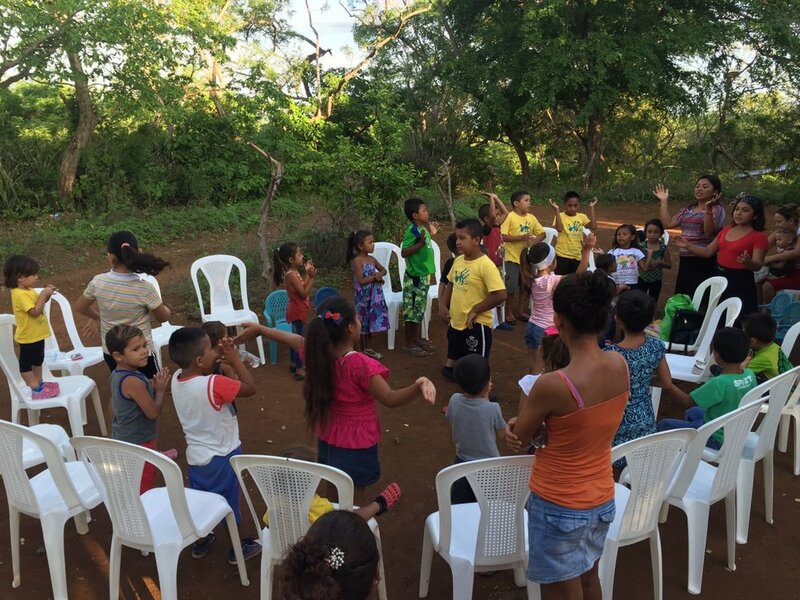 Global Cross missionary Sarah Broome returned from her January trip to Nicaragua with lots to share. She was able to start a simple Awana program in conjunction with the feeding kitchen in Tepano. As of today, the kitchen is feeding 36-40 children. Most children finish school at noon and then go to the kitchen where they receive 5 meals each week. Their ages range from birth to 15 years old so the kitchen also feeds a few children who are too young for school. After lunch, they receive a Bible lesson. Part of Sarah's mission was to deliver 50 Spanish Awana books that were donated by South Point Baptist Church. 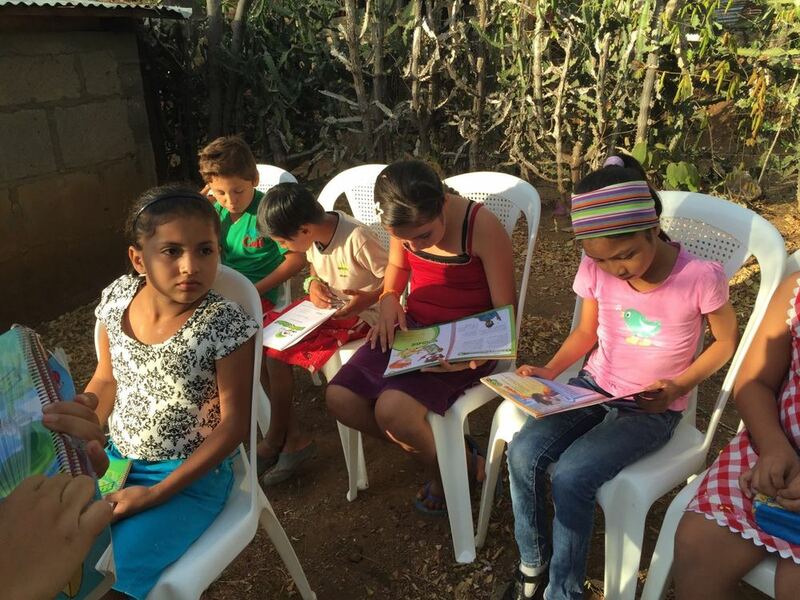 Spanish Bibles and similar materials are hard to come by in this part of Nicaragua but now these kids have age-appropriate learning materials written in their native language. Not only are they learning about Jesus and from God's Word, but they get additional reading study. 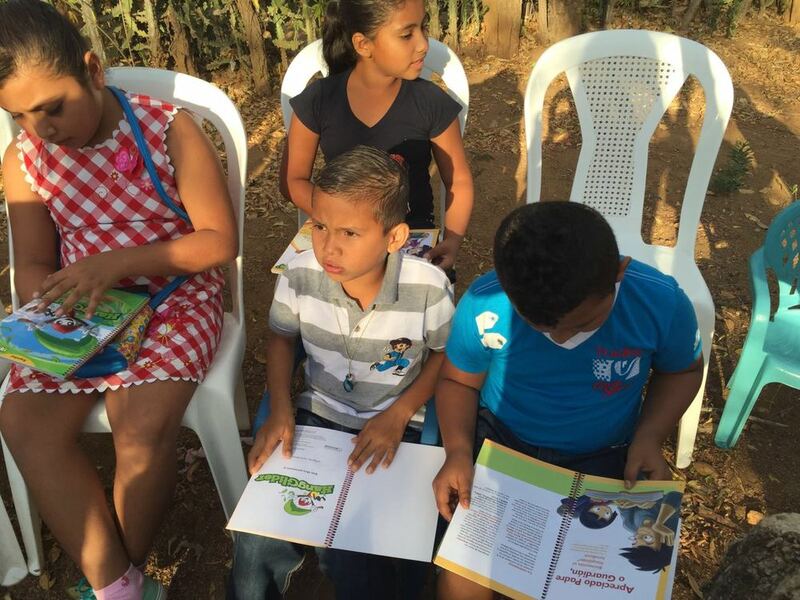 In addition to Tepano, Awana materials also went to Diriamba. This group is a bit older (ages 10 to 16) which has led to deeper discussions and study. These kids have been meeting after school, 5 days a week since early December. One final note of interest: Global Cross is also operating a Business As Mission application in Diriamba called Ascensor. 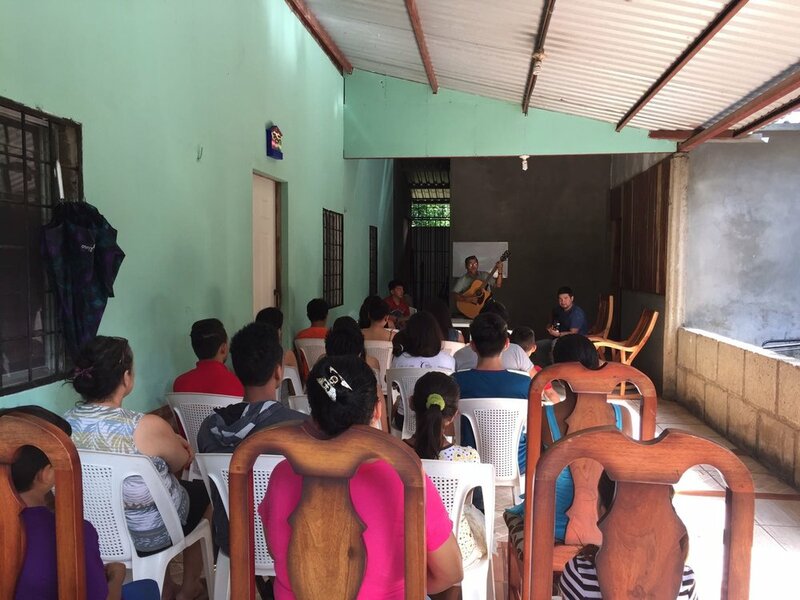 One of Ascensor's employees is leading the Bible study in Diriamba while the wife of another employee leads the children's study in Tepano.